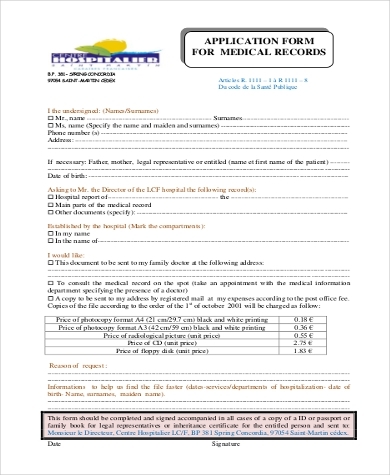 Medical application forms are routinely used in hospital and out-patient settings to facilitate different health care processes. Some of these processes are required for clients to receive their government-mandated health care benefits. That is why it is important to fill out the correct application forms when dealing with health related processes. 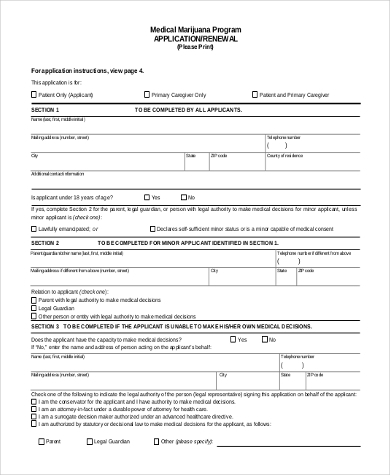 If you are looking to download and fill out a form for personal use, make sure to ask your health care representative first if they have a standard form that you may need to use. 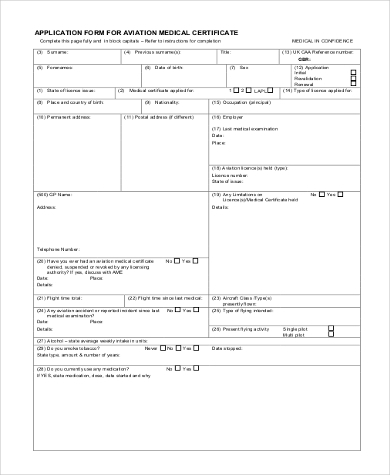 Or if you are part of a health care company who wants to create/redesign your medical application forms, listed below are examples that you may customize. 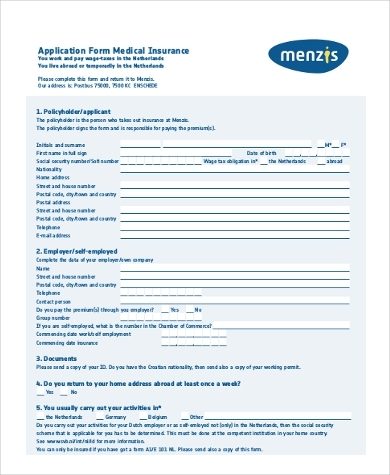 A frequently used type of medical form is a medical insurance application form like Medicare application forms. Different health maintenance organizations (HMOs) and insurance companies will require these forms when signing-up for their services. Likewise, claiming reimbursement for medical expenses forms are also regularly used by insured clients when asking for restitution for expenses accrued from medical treatments and/or hospitalization. 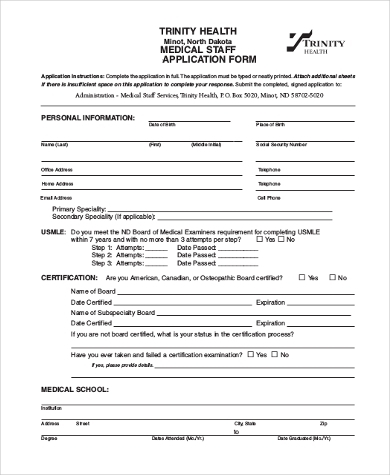 Health care professionals may need to fill out a medical staff application form when applying for jobs. These forms typically ask for personal information, scholastic background, and related work experience/s. In the United States, employees are able to file for Medical Leave under the Family and Medical Leave Act. A Family Medical Leave Act Application form will need to be filled out if you want to file a paid leave. 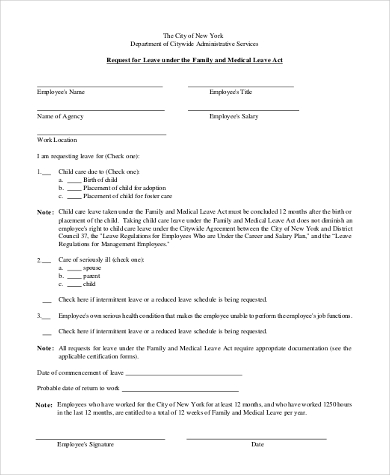 Companies may create their own medical leave forms as long as their forms conform to the necessary details required by the Act and the HR office. The Medical Device License Application Form is used by insured individuals who need additional health care support from medical appliances like wheelchairs, pacemakers, ambulatory oxygen tanks, prosthesis, etc. This form is also required by some states and countries so that they could monitor and regulate the proliferation of biomedical devices like advanced diagnostic and treatment machines and avoid abusing their functionalities. Most countries have universal health care systems that allow them to provide health services to its citizens. A medical card may be issued to insured individuals as proof of their identity and insurance benefits. 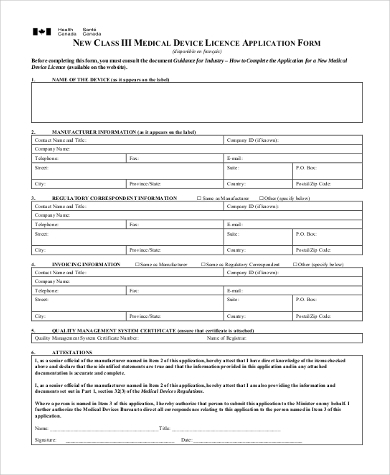 A medical card renewal application form is filled out if the insured have either lost their cards, have new health conditions that needs to be updated into their cards, or if their card’s validity date has ended. Likewise, governments and organizations providing health care services may also offer these services to indigent members of the society for free or at a reduced cost. 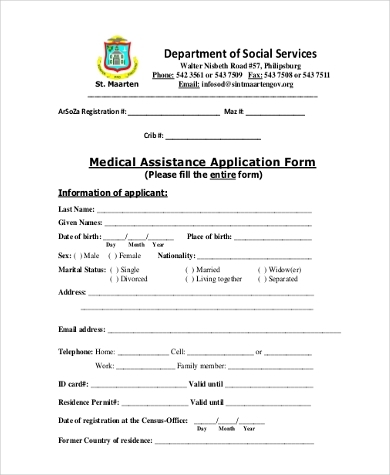 Individuals who want to avail of these services will need to fill out medical assistance application forms. If you are tasked to revamp the medical forms used by your organization, you may begin by using sample medical forms on this list and redesign it to match your organization’s needs. 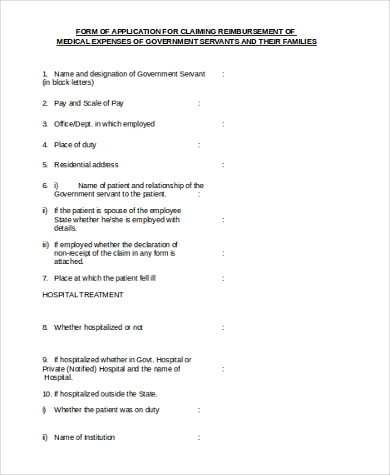 You would most likely need to start with a medical certificate application form since this form is often used by employees when they return to work after calling in sick.